Discussion in 'Gear Deals' started by Amascus, Oct 19, 2018. I have never saw these Mora's cheaper so thought I would post it up. nlamottekerr, Snakeshooter, central joe and 12 others like this. central joe, woodsmanjohn, Chevrolet4x4s and 1 other person like this. I lost my 511 last hunting season. Been meaning to replace it...thanks!! central joe, Glock Holiday, woodsmanjohn and 2 others like this. Didn’t need one. Bought one anyway. Thanks for the head’s up. Snakeshooter, central joe, Chevrolet4x4s and 4 others like this. central joe, Chevrolet4x4s, wingnuts and 4 others like this. Edit: I only ordered four, as I have one of that model already. A few months back, I got some of the Companions in stainless for $8 - $8.50 each. Snakeshooter, central joe, Chevrolet4x4s and 3 others like this. Do I need another knife...no. Did I buy one at this price...yes. Snakeshooter, central joe, Chevrolet4x4s and 2 others like this. Very tempting however I've been enjoying my 510 Black too much. central joe, Top Gibson, woodsmanjohn and 3 others like this. I wanted to get the 511 celebration colour (red/grey) but missed it. They are 3,90€ in the shops. central joe, woodsmanjohn, blind & lost and 1 other person like this. That's a great deal , eBay has two packs for under $16 shipped if you don't have enough in your Amazon cart for free shipping or prime. Thanks for the heads up, I've never had a Mora, ones on the way now though! central joe, marbleman, Chevrolet4x4s and 4 others like this. central joe, Chevrolet4x4s, Glock Holiday and 2 others like this. central joe, Chevrolet4x4s, Glock Holiday and 3 others like this. 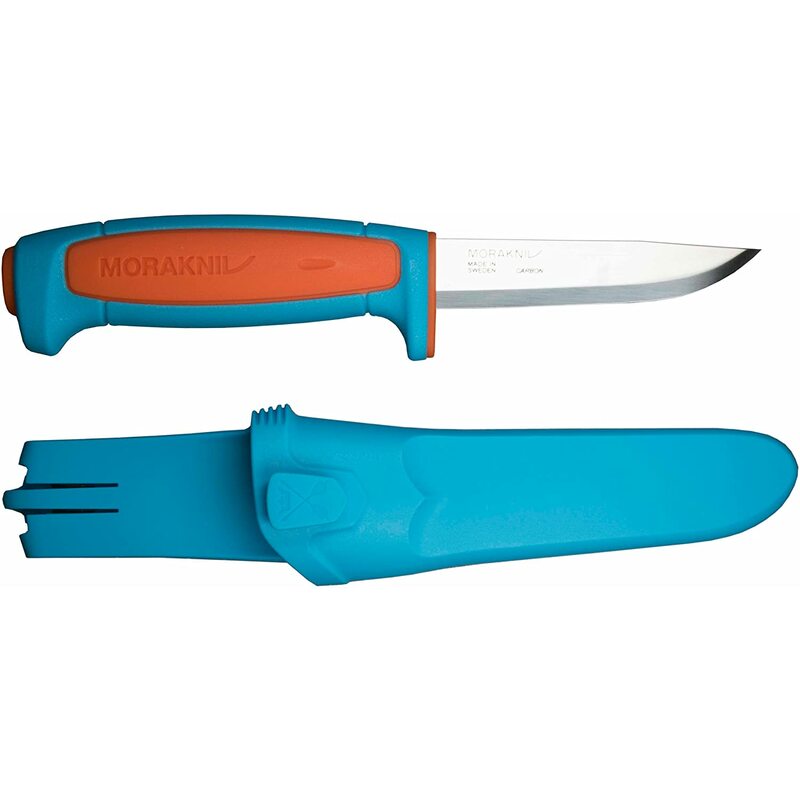 I didn't know that the Miami Dolphins had their own Morakniv! Go Fish! I HAVE TO get one of these for my brother! He's the biggest Fish fan I know. central joe, MrFixIt, woodsmanjohn and 2 others like this. Great knife at a great price, like those Moras thanks for sharing I may pick a few up for gifts. Thanks for sharing the deal buddy. blind & lost, central joe, Chevrolet4x4s and 3 others like this. The red/black handled one with the red sheath is only a penny more at the moment. blind & lost, central joe and Chevrolet4x4s like this. The companions are at an all time high it seems like. Nice. I got some red/black ones as gifts or for kids to practice on. Always a win when Swedish steel is that inexpensive. Glock Holiday, blind & lost, central joe and 2 others like this. ... Always a win when Swedish steel is that inexpensive. Don't feel bad, I haven't had one yet either.....must ......resist. Wife? She has several. Kids? The same. Nephews? Check. Every bag? Yup. Every vehicle? I NEED TO BUY ANOTHER CAR! Glock Holiday, blind & lost and central joe like this.